As the old Apple tagline goes, “there’s an app for that,” and the saying applies to the world of online casino gaming. If you would prefer to play real money casino games from the convenience of your mobile smartphone or tablet rather than being tied to your desktop computer, read our guide to playing slots, blackjack, roulette, poker and other popular casino games directly via apps on your mobile device. What is a casino app? An app (short for application) is a special kind of software designed to perform a certain function on a smartphone or tablet. Casino apps are specially formulated to provide an easy to use, targeted platform where customers can make deposits and place real money bets on a range of casino games directly through their mobile device. They work with the devices operating system (iOS, Android, etc) to offer a convenient, accessible alternative to desktop play. Do I need to download an app to play at a mobile casino? While the option does exist at some online casinos to download a native mobile app, thanks to the rise of Flash based instant-play software, it is no longer essential to download an app to access a mobile casino. 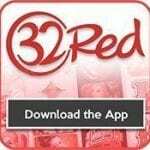 Most leading casino sites can now be accessed directly over your mobile Web browser, without having to download any particular software. The widespread use of instant-play mobile casino games means players can access a larger variety of mobile casinos without being restricted to by the brand or model of their mobile device. In the past, many casino apps were only available for iOS users, leaving Android users in the dark. Using a browser based mobile casino means games can be accessed on any data-enabled mobile make or model, provided your device has HTML5/Flash capabilities and access to a secure Internet connection. Instant-play also users much more freedom to switch between mobile casino sites without feeling like they must commit to any single casino app network. 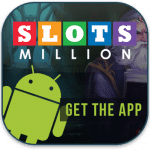 These casino apps offer a selection of real money casino games optimised for use with the mobile screen, including slots, blackjack, roulette, baccarat, scratch cards and even live dealer games. Tap our buttons above to get the apps and claim some sweet welcome bonuses along the way. If you like the convenience of using apps on your mobile device but don’t want to download a casino app, or your favourite mobile casino doesn’t have its own native app, you have the option of creating your own Web app. A Web app can be created from any mobile casino site, sending a thumbnail icon to your mobile home screen for one-tap access to the casino just as though you had downloaded an app. To make a Web app, all you need to do is bring up your devices in-browser settings when playing at your favourite mobile casino site and select the “Add to Home Screen” option. This essentially bookmarks the site so you can access it with the tap of a button at any time. Web apps can also be created for individual games, so you can bypass the casino game lobby entirely and just load up your favourite casino game for play on the go anytime, anywhere. Follow the prompts to enter your payment details, the amount of money you want to transfer and tap through to complete the transaction. The mobile deposit process has been simplified, with payment systems optimised for use with mobile devices, so as long as your device has a good Internet connection and enough battery life, you can deposit instantly and start playing games for real money straight away. Popular mobile deposit options are the top-rated mobile casino sites include Visa, MasterCard, Neteller, Skrill, Paysafecard, ecoPayz and direct bank transfer. Country-specific mobile deposit options may be available depending on the area you are playing from. Is it safe to download a casino app? If you decide to download a native casino app, make sure you stick with licensed, trustworthy venues that have a good reputation within the online gambling industry. When you download an app to your smartphone or tablet, you must accept the terms and conditions, with many people ignoring what is actually written within the fine print. App terms and conditions can give the operator permission to access various functions within your device, so you want to be sure you are playing at a safe, secure venue that doesn’t pull any dodgy moves, like gaining access to your contact list and spamming all your friends and family members. The casino apps and mobile casino sites recommended at Betting Planet have all undergone our thorough testing process to make sure they hit the requirements for security, reputation and licensing. Our recommended casino sites are licensed by leading online gambling jurisdictions, protected by respectable gambling authorities and testing agents, and use a minimum of 128 Bit SSL (secure socket layer) digital encryption to protect all player transactions. When you play at any of these mobile casinos, you can rest assured your privacy is safe. For further peace of mind, make sure you are playing over a secure Wi-Fi connection and make sure your passwords are strong. Consider using a VPN (virtual private network) when playing at a mobile casino or using a casino app over a shared or public Wi-Fi connection.